Persona 5 U.S. Release Date Set for February 2017 | Nerd Much? Those anxiously awaiting the release of Persona 5 in the west can finally add the game to their calendars, as Atlus has announced that the Persona 5 U.S. release date has been set for February 14, 2017, six months after its Japanese release. What’s more, Atlus detailed the price points for the game, noting that the standard edition of Persona 5 on PS4 would launch at $59.99, with the PS3 version costing $10 less. 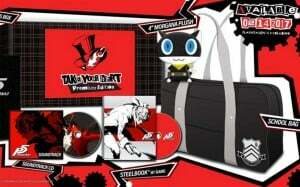 PS4 players who pre-order will also receive a limited edition Persona 5 Steelbook launch edition for no additional cost. 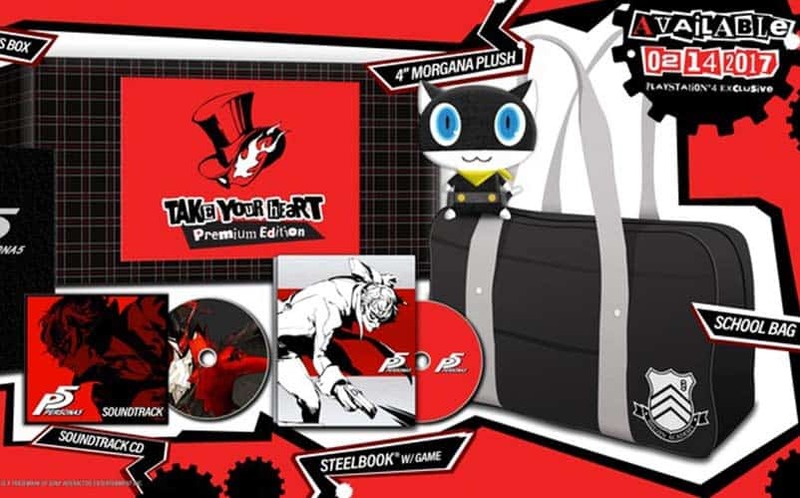 Atlus will also launch a Take Your Heart collector’s edition that will not only include the SteelBook case, but also a 4″ Morgana plush, a 64 page hardcover artbook, a full-size Shujin Academy school bag replica, the Persona 5 soundtrack on CD, and a collectible box. The Take Your Heart Collector’s Edition will run for $89.99. Last month, we received our first major wave of details regarding the upcoming game, as well as our first Persona 5 trailer. We’re fully expecting to hear more about Persona 5 at E3 next week, as Atlus has confirmed that the game will be present at the show. Stay tuned to Nerd Much for the latest.